Flat roofs are insulated or not, depending on the purpose of the buildings/rooms. The main insulation materials include roof wools, roof foams and expanded clay and the choice of the material used depends on the specific project. 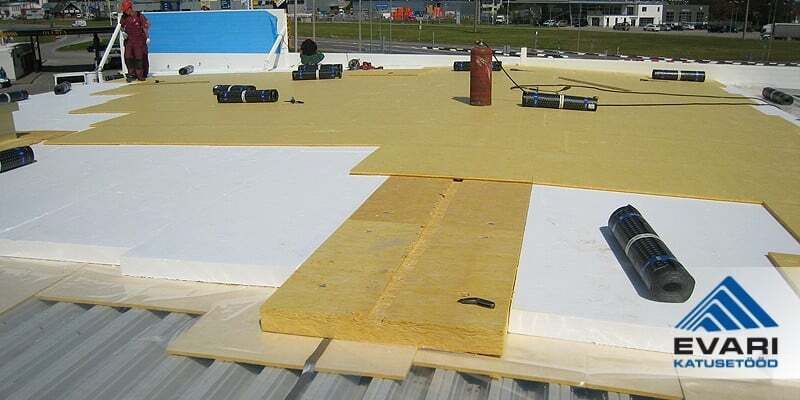 The load-bearing capacity of the insulation materials used in flat roofs must be at least 30 KN/m2 in the bottom and middle layers and at least 50 KN/m2 in the surface layer. The thickness of the insulation layer depends on the insulation material used, the purpose of the building/room, and the wishes and possibilities of the ordering party. 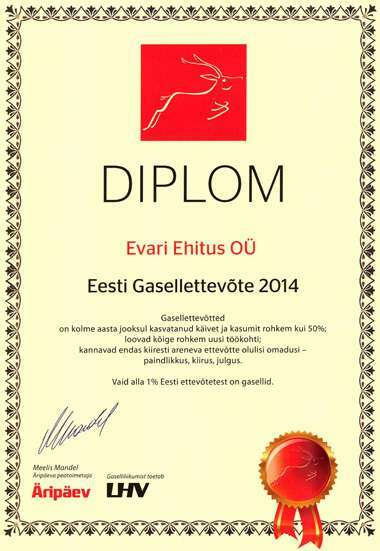 The main advantage compared to foam insulation – good fire resistance. stone wool (Paroc, Rockwool, Tehnonikol). The main advantage compared to wool insulation – greater resistance to moisture. The main advantage compared to other insulation materials – considerable compressive strength. Expanded clay is a ceramic filling and insulation material with the particle sizes of 2-4, 4-10, 10-20 mm. It is used as the main insulation material as well as for building inclinations of various roofs. Expanded foam is the best base layer for roof gardens.